It was a short drive, just 4.7 km from the Hotel to the location where I had been at least twice before, usually at the end of the day, tired, with no great memory of previous visits. This visit (S3184) I will remember, as we were greeted within a couple of steps from the car by Ariocarpus fissuratus in full flower – when a few weeks earlier when Alain and Eunice visited here, there had not been any flowers. 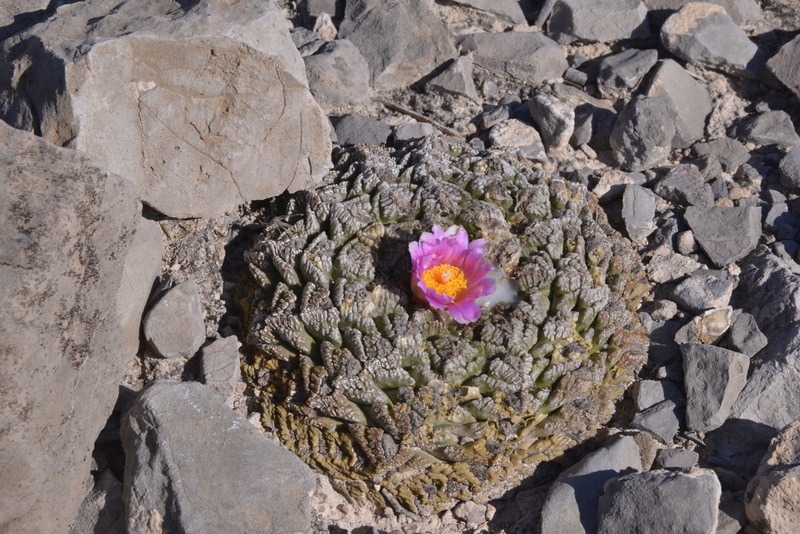 All the cacti spotted during previous visits were still here, including some large Astrophytum capricorne, that had been in flower during Alain’s previous visit but now had finished – you can’t have it all! 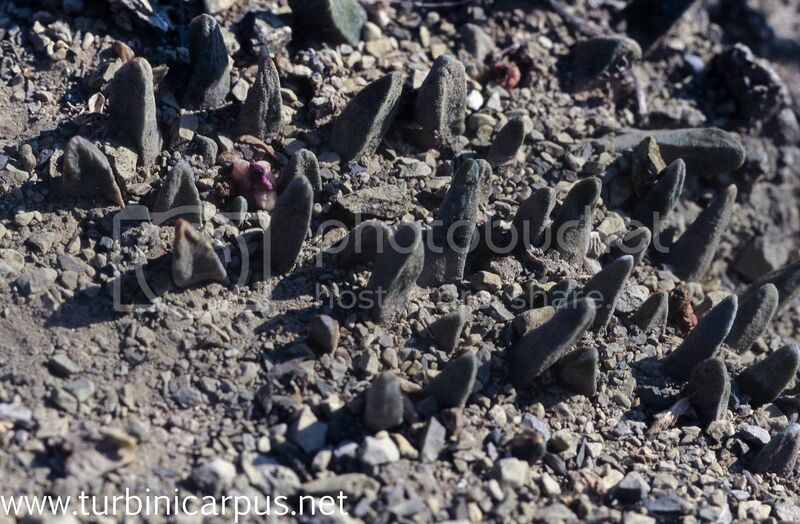 107 images later, mostly of Ariocarpus in flower, I was beginning to suffer from Ariocarpus indigestion! How many flowering Ario pictures do you need? Quite a few more it seems, as we moved on to our usual A. kotschoubeyanus location along MEX 30 (S3185). 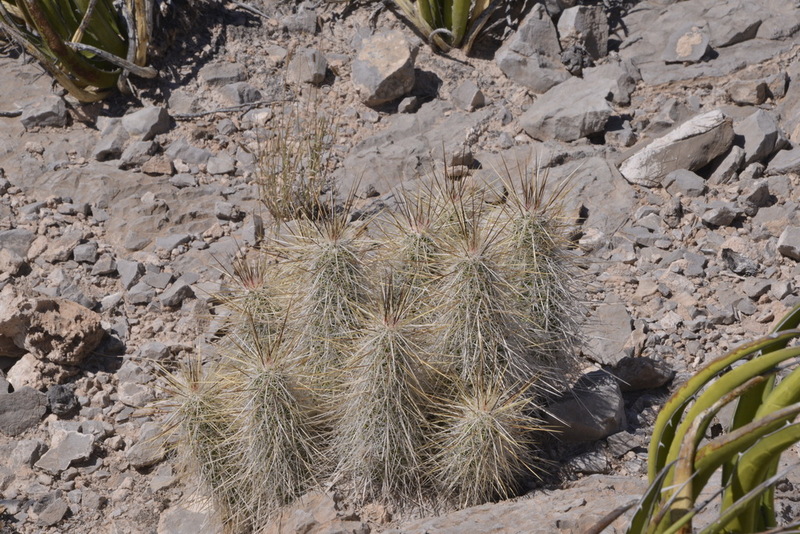 Of all the Kots locations that I have seen, this has the densest gathering of tiny cacti. Despite the mass flowering here, the flowers were still too small and the plants too far apart to create a true ‘purple haze’ affect, although I feel optimistic about what can be done with some time in PhotoShop – Christiaan, please take note! 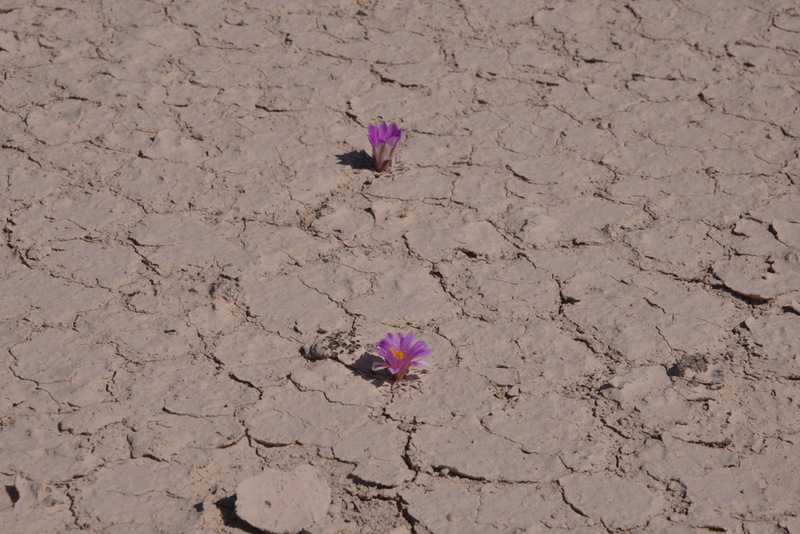 Mass flowering at S3185, but the flowers and plants were unable to create the stunning purple haze effect that I had seen in the Atacama Desert by Calandrinia longicarpa in flower. It was very hot, 34 C according to the car’s thermometer, and another 82 images later, Ario indigestion was complete. So on for a few more km to the turning where in March we had emerged after a tortuous track through the desert from Parras. It can be done, but I would not recommend it! This time we stopped at the junction with MEX30 (S3186) and some very nice, tall, Thelocactus bicolor subsp bolaensis. Previous visitors have called the plants here ‘Thelocactus wagnerianus’, so a bit more reading is due. The remarkable thing here is that we found one Thelo still in flower. Many more had been in flower during our March visit. 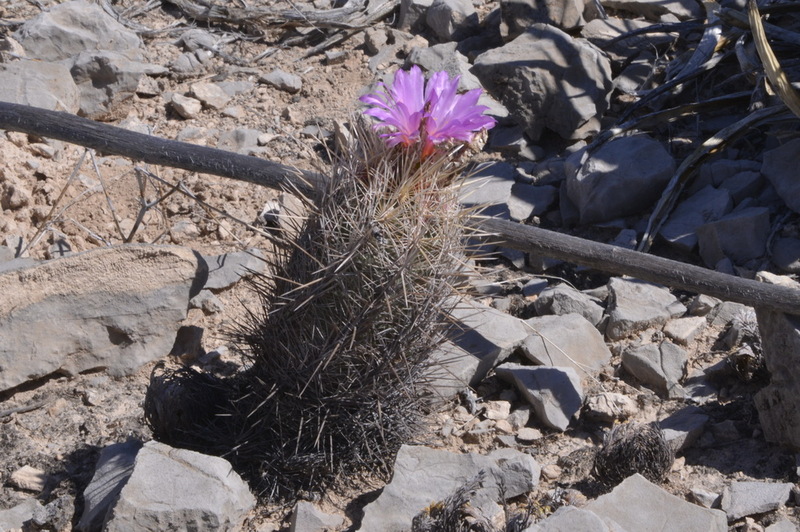 There is also a very nice Echinocereus here. Is it E. stramineus? E. longisetus? Answers on a postcard please (or by email). And so, still very early in the afternoon, we decided on one more stop (S3187), along MEX 30, opposite the turning to S3185, before spending the afternoon at the poolside of the hotel with cool beers and a refreshing breeze. The T. bicolor subsp. bolaensis were here too, and again there were some plants still in flower – great! We have reached the northern most part of our trip, so tomorrow we start heading south again. I think this Echinocereus should be the stramineus ssp. occidentalis, according to the “New Cactus Lexicon” – Dr. Hunt. Merry Xmas! 🙂 I have seen very similar ones at El Amparo, Coahuila.